Style: Affordable Eyewear with Firmoo. Those of you who follow me on instagram will no doubt know my penchant for the old face furniture. I love glasses, which is a good job to be honest, as I have to wear them all the time because on an astigmatism in my left eye. So when Firmoo got in touch and asked if I'd like to try out a pair of their frames, I jumped at the chance to add to my ever growing eyewear collection. The amount of choice on the site is amazing. It's worth checking the Daily New section for all the latest styles. 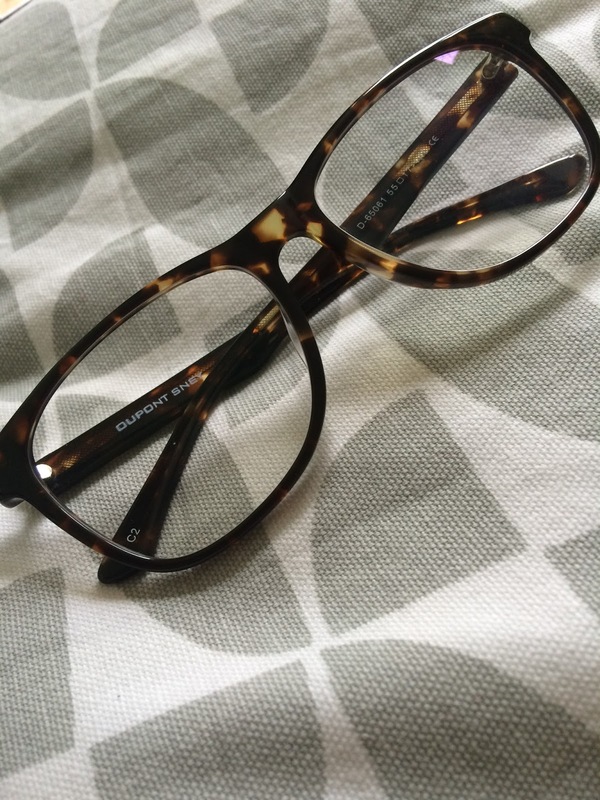 I went with this unisex frame, in classic tortoiseshell, which isn't too dissimilar to a pair I had owned before and sadly broke, so these acted as a great replacement. Ordering online was really easy. If it's something you haven't done before and are quite weary of the process, you needn't worry too much. Just follow the instructions on screen and you'll be fine. First off I used the 'try on' feature, where you can upload a pic of yourself to see how the glasses would look on you. Which is hilarious, but it does give you a fairly good idea actually! I then checked the frame measurements in comparison to some of my other glasses so I could get an idea of the size of the frames. Once I was happy they were the right ones for me, I added them to my basket and proceeded to checkout. So anyway... Firstly, you chose the sort of lens you require (single vision, bi-focal etc), then if they are distance, reading or for computer work for example. Then you enter your specific prescription details. You can either upload a scanned image of your prescription, or you can enter the details from it, into a form format. We don't have a scanner, so I did the latter which was super easy. It also asks for your PD (pulmonary distance) which isn't always noted on your prescription. You can either go for an average which is about 62mm for women and 64mm for men, or you can google how to work it out (it's to do with the distance between pupils etc) it's pretty easy though. Then just keep following the steps until you get to the checkout where you can enter your delivery and payment details. My frames arrived within a week, they were well packed and came with a hard and soft case and a really good quality lens cloth. Not just some thin bit of material, but an actual working, thick quality lens cloth! (It's the little things that please me). And what of them? How did they look? Well I'm mega pleased with them. They fit beautifully and are comfortable to wear all day - and when I say all day, I mean all day. I've got other frames that start to get heavy on the bridge of my nose by 5pm or rub and pinch behind my ears, but these are a dream. They are a large frame, a look that I love, but if big old specs aren't your thing, there are a tonne of other styles to choose from on the Firmoo site. If you're looking to update your frames or just fancy widening your eyewear wardrobe then head to the Firmoo site where new customers get a 15% discount - the frames are hugely affordable and the choice is astounding. Definitely worth checking out!